...reading the Bible cover-to-cover with attention to the themes, progressions, and arguments is dangerous, not to faith in Christ but to some of the received "truths" within our churches. The proof texts for many propositions don't hold water (as proofs) when the context is appreciated. And the emphasis that is placed on what we might call sanctification and on care of the widow, orphan, poor, and stranger, and on the condemnation of greed is inescapable. "As I noted in The Measures of Success, in depth Bible study will never get big crowds. The virtual elimination of Bible from worship (a few verses around a sermon theme doesn't count), and adult education from church doesn't really help matters." I read her post, "The Measures of Success" written last week and it confirmed something to me. She notes in the post that her posts on Bible get far less unique hits than some other posts. I have noticed the same thing on my blog. I can guarantee that posts on politics will always get the most hits, and anything controversial as well. I also get a lot of hits when I post something on Wesley or Wesleyanism, which makes sense since I am a United Methodist and many readers of this blog are Methodists, but I can guarantee that when I post one of my Lectionary reflections or anything exegetical in reference to Scripture, my hits will drop in half. I am not sure what to make of all of this, but I do agree with RJS-- In depth Bible study, whether it's at the local church on a weeknight or online leading to a robust comment thread will never draw a big crowd. Only "the bells and whistles" seem interesting. As I noted on my blog Wednesday morning, we had an excellent Bible study, the beginning on the book of Job. So glad for not only the number who turned out but what I thought was a good, even robust conversation. I hope this continues. Thanks for your reflections here, Allan, and by the way, the same is true on my blog as well, what hits I get. I think a big part of the problem is that the Bible is often presented as a series of short quips or anecdotes that offer therapeutic answers instead of the narrative of God with God's people acting on behalf of the world. Since we don't see it as a large grand narrative, we don't feel it necessary to study it in depth. We mine it only for words to help us make it through the day, so to speak. You left out a category. Sermon texts from the lectionary. Those get big hits every three years. I am no longer active on the Internet because of a serious health challenge. But, my web site stats continue to go up over-all largely because of a post from March of 2012 on Psalm 106: 4,5. People find it on search engines by searching for "prayer of blessing" or some variant of that. I have found that posts on current controversies get the most immediate hits, but interest fades with time. People are searching the web for Bible studies, though, and they manage to find these old posts. As John says, comments on lectionary texts do well over time. 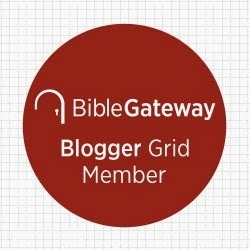 So, I have found that posting serious Bible study will bring traffic to your site even though there doesn't seem to be much immediate response. It's still true that content is king and that you need to take the long view. Helpful comments which give me a different perspective. Thanks!